One of the great things about adding multiple users to your Current RMS system is that you can assign activities to them. Use participants to do this. Participants are a way of saying who an activity involves, i.e. who it’s for. Participants can be user accounts, contacts, organizations, venues, or vehicles. You’ll see the activity in the “Pending Activities” section on their user account page. The activity shows up in the activities calendar in Current RMS for that user. They can subscribe to their activities iCal feed to get this activity in their own calendar app like Google Calendar or Apple Calendar. When the user logs in, if the activity is due today they’ll see it on their dashboard in the “activities due today” tile. If it’s past due, they’ll see it in their “overdue activities” tile. 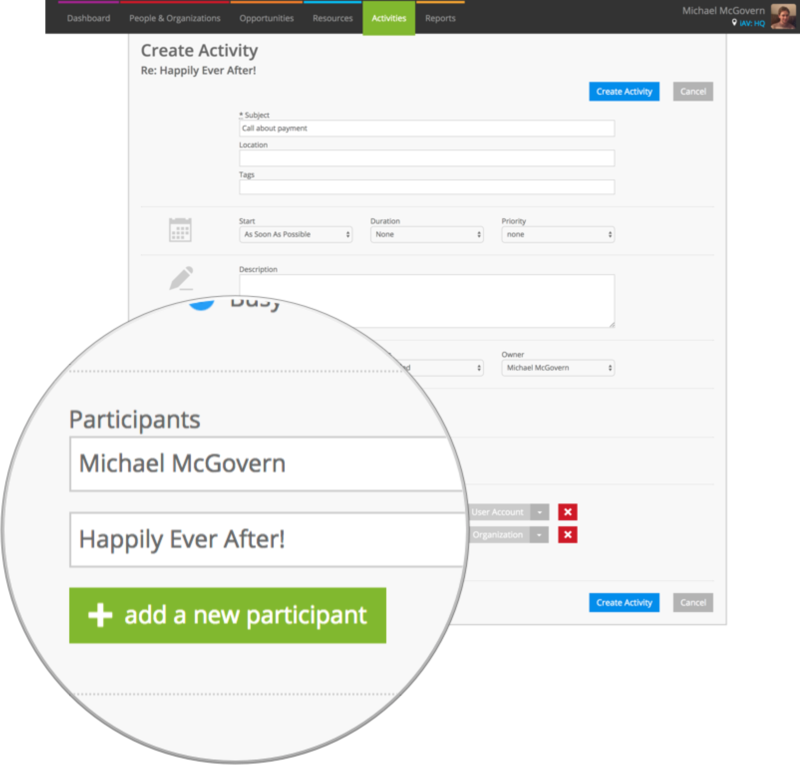 To assign an activity to one of your colleagues, when creating an activity hit add a new participant. By default, your user account is included as a participant. If you’re not involved in this activity whatsoever, hit the red x icon to your name in the participants list. To check if something you assigned to a colleague has been completed, just find the activity in your Current RMS system. 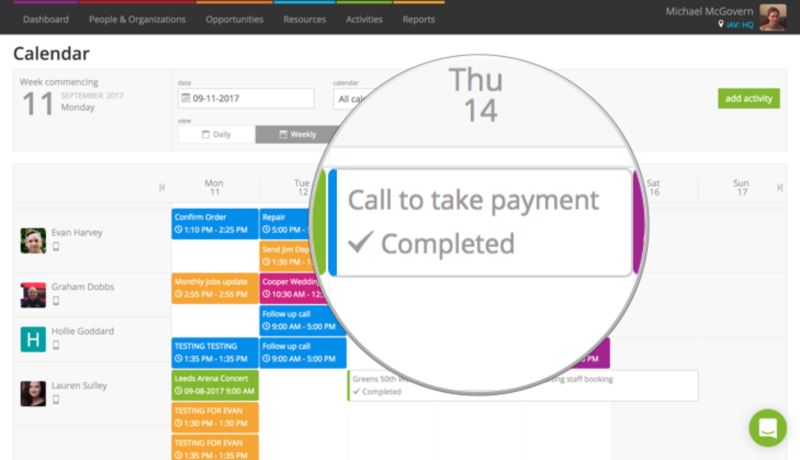 The easiest way to do this is to head to the activities calendar in Activities > Calendar.